This event will take place just south of the pier in Pismo Beach. The I-Scream 5K and kids run is an all-ages event that combines fitness with a lot of ice cream at the finish line. The event will have a 5K for adults and a non-time fun run for kids of varying distances based on age. The I-Scream 5K serves as a fundraiser for the Arroyo Grande Water Polo Club to offset program expenses. The entry fee includes ice cream, a T-shirt, medals for kids, and chip timing for the 5K. 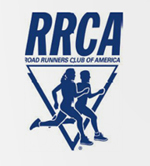 For more information and to register, go to www.runsignup.com.